Doyle claims that you can get access to a binary options trading software, that can earn you $1,500 per day. This software is not called Crisis Trader, which is a little bit surprising, but more on that later. 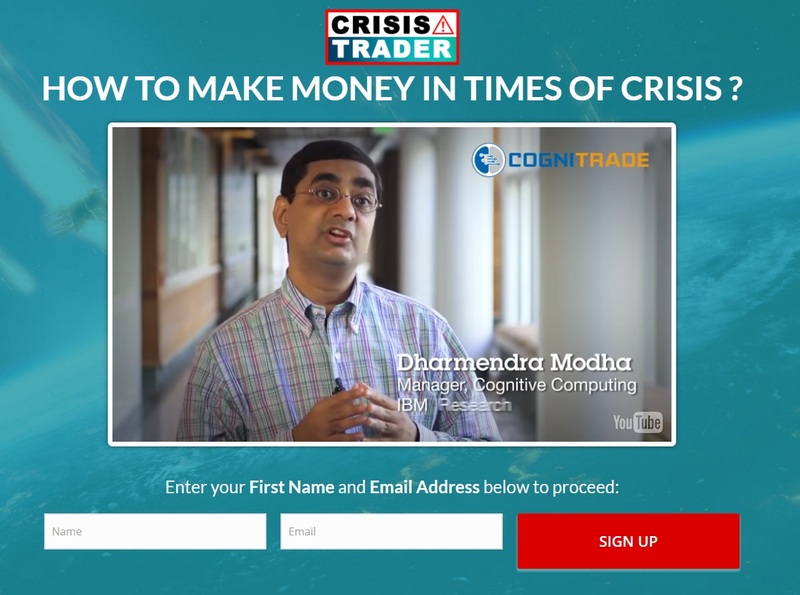 We must admit that we are a little bit confused, because at this time Crisis Trader is using the Cognitrade scam video. We don’t know if it is because scammers are preparing a new one or if they are lazy to make a new one. 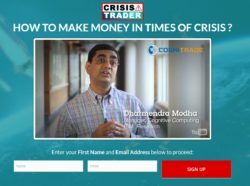 Either way this clearly shows that Crisis Trader is a scam, because Cognitrade is a scam too. You can read our previous review to see all the proofs, like fake testimonials made with paid actors, fake guarantee etc. If Crisis Trader owners replace the video, we are sure that it will be about the same lies and manipulations. 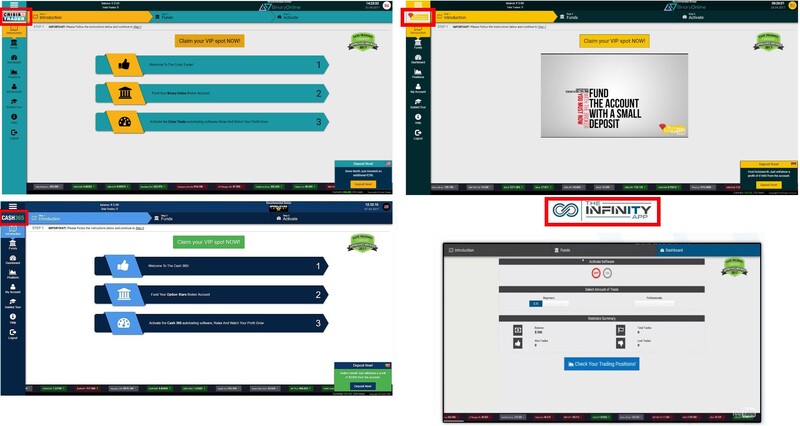 No matter the presentation video, we are sure that Crisis Trader is a scam, because the trading software is already ready and we could test it. What we saw is a well-known scam software developed and offered by scammers only. Look at the picture and you will see some examples of other scams that are based on this exact same app, like The Infinity App, Monaco Treasure and Cash365. We get a lot of feedback from real users about this software, so we know that it is losing money in real trading! Now let us explain how Crisis Trader really works. After registering it will push you to deposit at least $250 with a certain unregulated broker. The reason is that scammers are associated with this broker, they get paid for referring new depositing clients. This is how they earn money. This is also why they won’t let you use the software before you deposit. They don’t want you to see that it is losing money before they get their commission. Simple as that. Don’t trade with Crisis Trader, because it is a scam. It will force you to deposit and then it will lose your money. If you want to make money with binary options, you have to take control over your trading. Learn and test on a free demo account with a regulated broker until you have a profitable strategy. Only then you can start trading with real money for real profits.